Minimally invasive sinus grafting and implant placement without sinus floor elevation (SFE) by using autologous CGF (Concentrated Growth Factors) and Stem Cells CD34+ but with intentional perforation of the sinus membrane. This article describes the placement of 84 implants in the posterior maxillary areas of 37 patients utilizing minimal invasive surgery. Following a certain protocol, the implants were introduced in to the sinus with intentional perforation of the Schneiderian membrane. Concentrated Growth Factors (CGF) and Novocor-Plus bone graft material (B&B, Italy), were used in these cases. 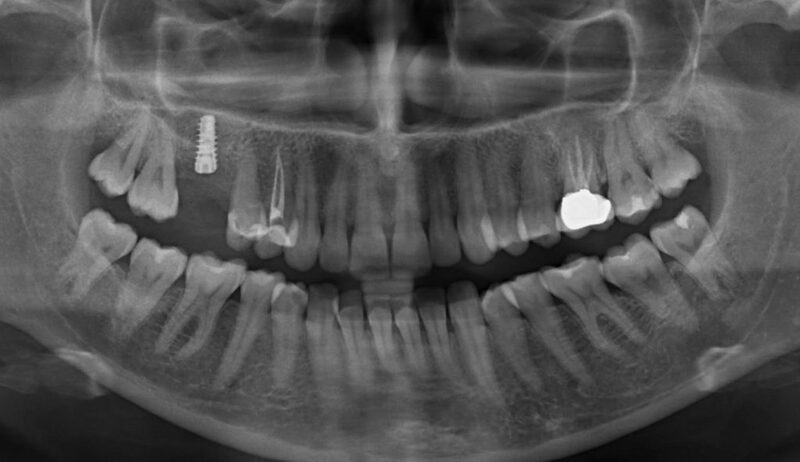 At various stages during osseointegration, radiological examination was performed to assess the increase and maturation of bone structure formed around the implants and over the sinus floor. This unexpected event allowed the sinus membrane to reconstruct over the newly formed bone, proving how well an individual is capable of adapting under new conditions. 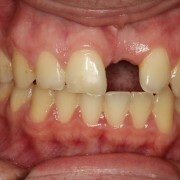 Partially or completely edentulous patients typically prefer an implant supported fixed denture. During treatment planning, it is often observed that SFE may be required in order to acquire the desired alveolar ridge dimensions necessary to achieve in the implant initial stability and long term success. Previous investigations have reported maxillary sinusitis up to 20 percent of patients following SFE procedures. The complications of SFE predominantly consist of disturbed wound healing, haematoma, sequestration of bone and transient maxillary sinusitis. 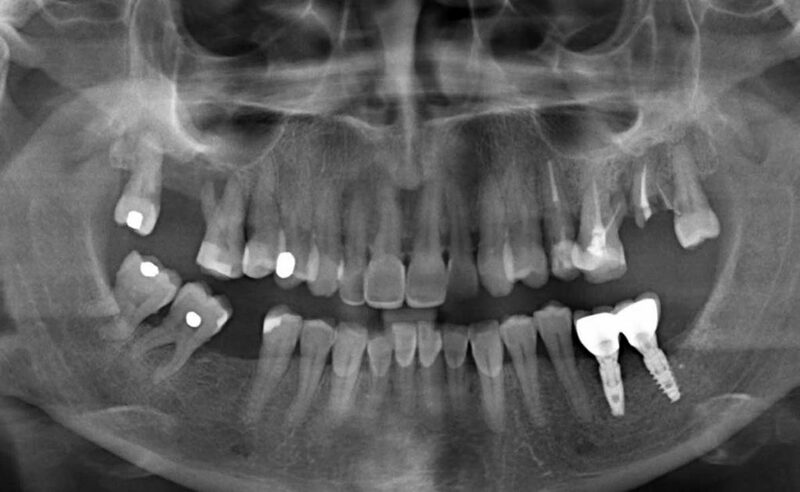 Postoperative acute maxillary sinusitis even cause implant and graft failure. The task for the dental practitioner placing the dental implants can be much simplified by using IPG-DET Technique providing great relief for patients if another expensive surgical procedure like SFE can be avoided. 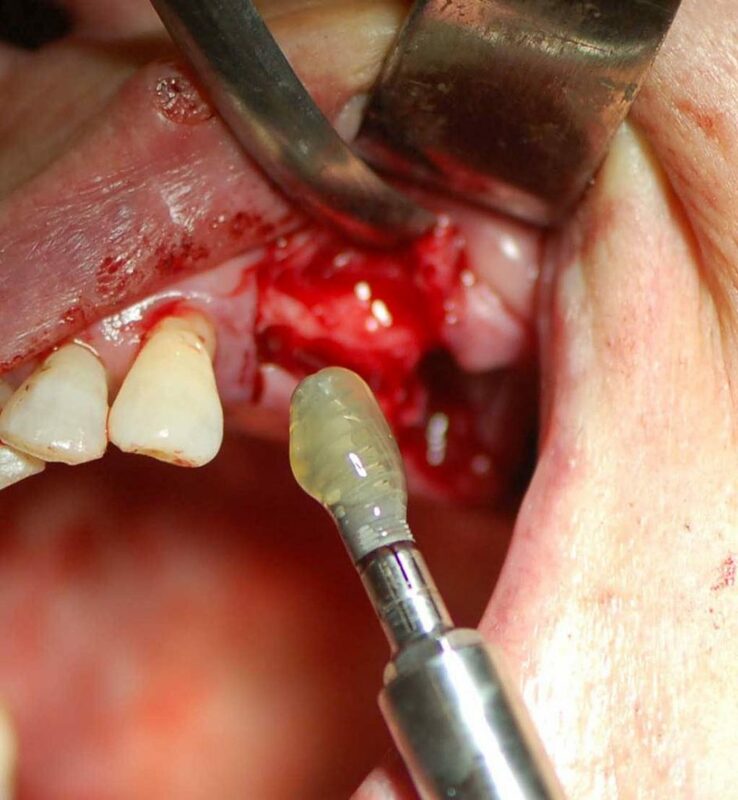 At first glance, an uneventful and unexpectedly fast placement of implants in the sinus cavity with intentional perforation of the sinus membrane would appear to have uncertain success and many other post-operative complications. The authors present the innovative IPG-DET Technique, which will demonstrate that SFE is no longer considered necessary. The combined employment of CGF (and Stem Cells CD34+) and bone grafting material within the osteotomy site by means of implant immersion was made in such a manner that the sinus can adapt to new conditions, which is, to form new bone around implants without the need to perform SFE. Implant placement has been done by utilizing minimal invasive surgery. New bone was seen to have formed around all 84 implants placed in the sinuses. This was radiographically evaluated with panoramic x-ray and cone beam CT scans. 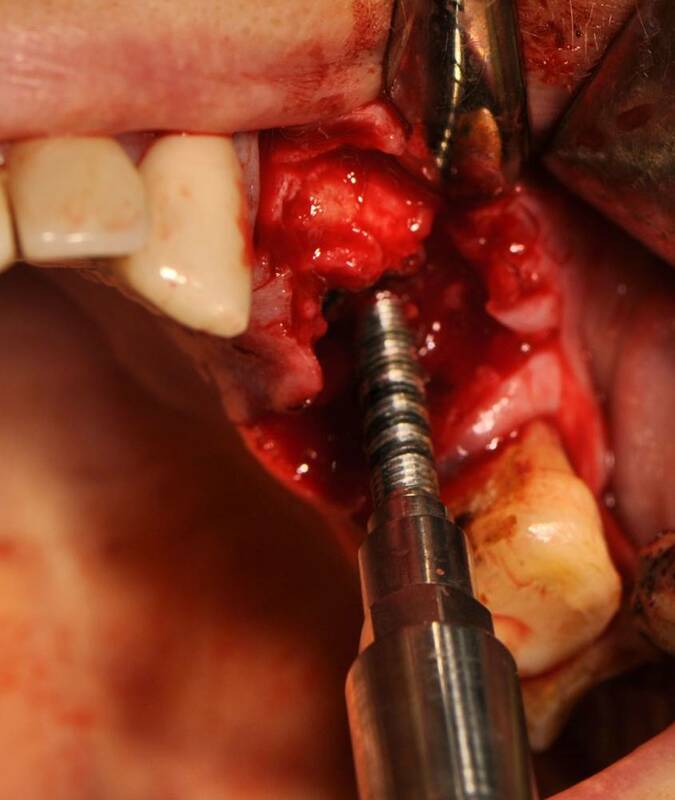 Quick placement of implants in the sinus cavity by means of intentional perforation of the sinus membrane following a certain clinical protocol without performing SFE. Thirty-seven patients (fifteen female, twenty-two male) between ages 35 and 73 needed upper jaw rehabilitation with non-removable prosthesis. 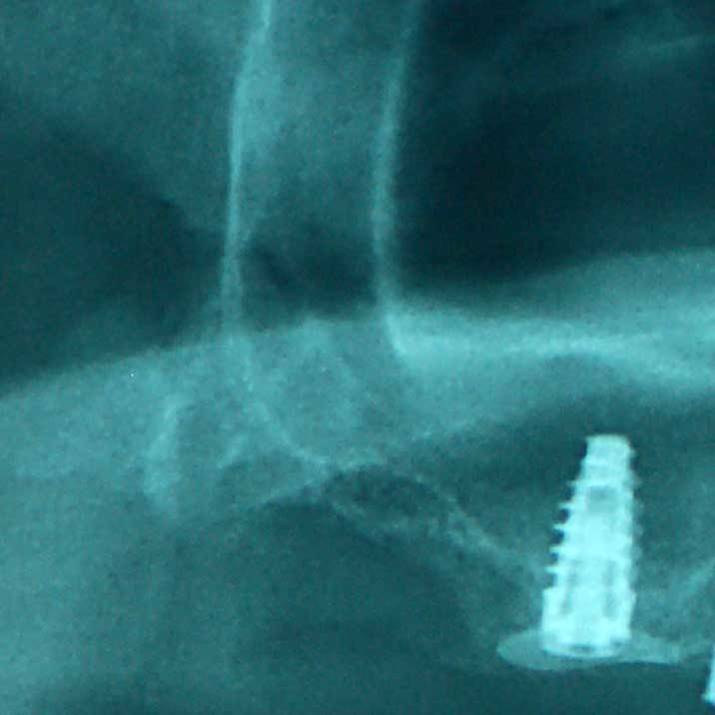 The option of placing a total of 84 implants was offered to them. All of them have been informed about the clinical procedure and a written consent was signed. According to the proposed clinical protocol, all implants should be placed in a minimal invasive approach and entered each sinus with intentional perforation of the Schneiderian membrane. 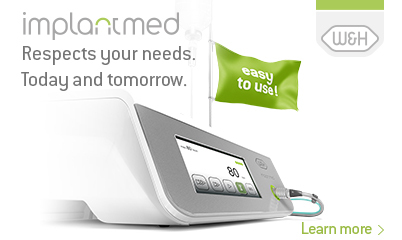 Prior to surgery, blood was collected from the patient using six 9ml sterile tubes, using the cell separation device Medifuge (Silfradent. Italy), according to the CGF protocol. Povidine iodine (Betadine) was used for extra oral disinfection to reduce the possibilities of microbial contamination of the surgical site. Immediately thereafter, 2 per cent lidocaine with 1:100,000 epinephrine was administered. Osteotomy was extended through the full bone height available. Drilling was done with the initial drill and with a 2,1 drill. Therefore the procedure are continued by using Duravit bone compactor-expanders diameter dimensions of 3 and 3,5 (B&B, Italy) until the sinus membrane was perforated. A CGF matrix was inserted through the osteotomy site into the sinus through the membrane perforation using a fibrin injector (Silfradent, Italy). 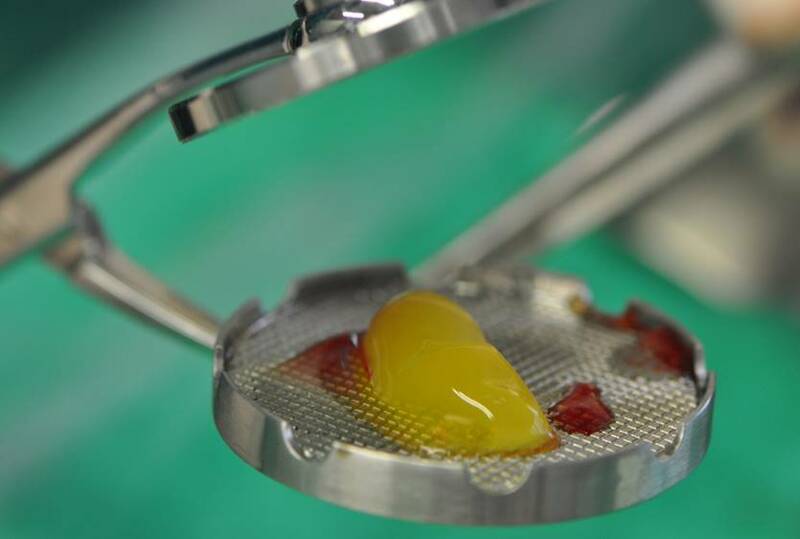 Another CGF matrix was cut into small pieces and mixed with 0,5 ml of Novocor-Plus bone material (B&B, Italy). Novocor-Plus is a medical bone graft material made of granules of natural coral with a low surface-to-volume ratio included between 200 and 500 mm. Madreporic coral, also known as coral hydroxyapatite, consists of 98% calcium carbonate in the form of aragonite (CaCO3), (B&B, Italy). Figure 6: A B&B implant with CGF bio-material during the procedures of IPG-DET technique and before its placement in the Sinus. 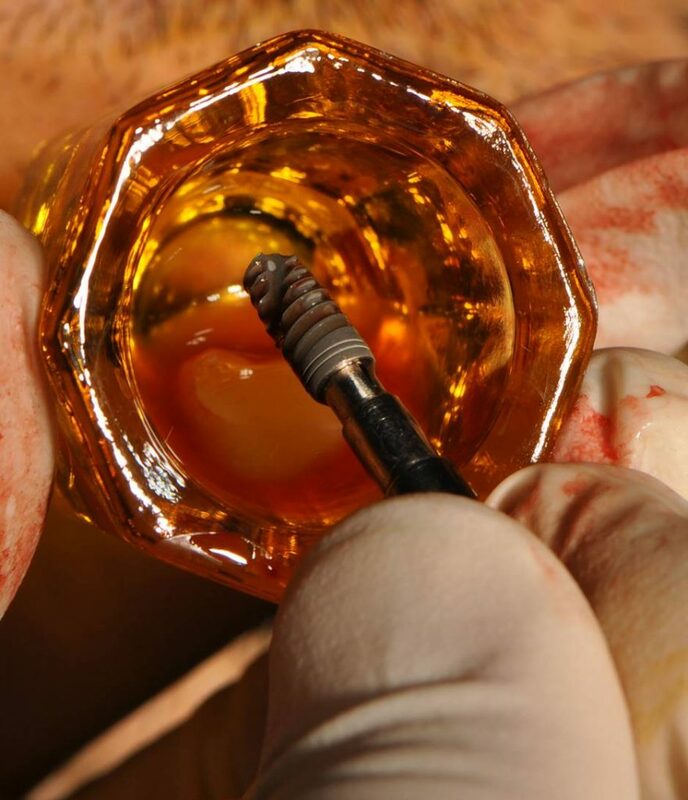 Before placing each implant in the osteotomy site, it was first carefully and completely immersed into the LPCGF (Liquid Phase Concentrated Growth Factors) in order to create a bio-energetic membrane around the implant. 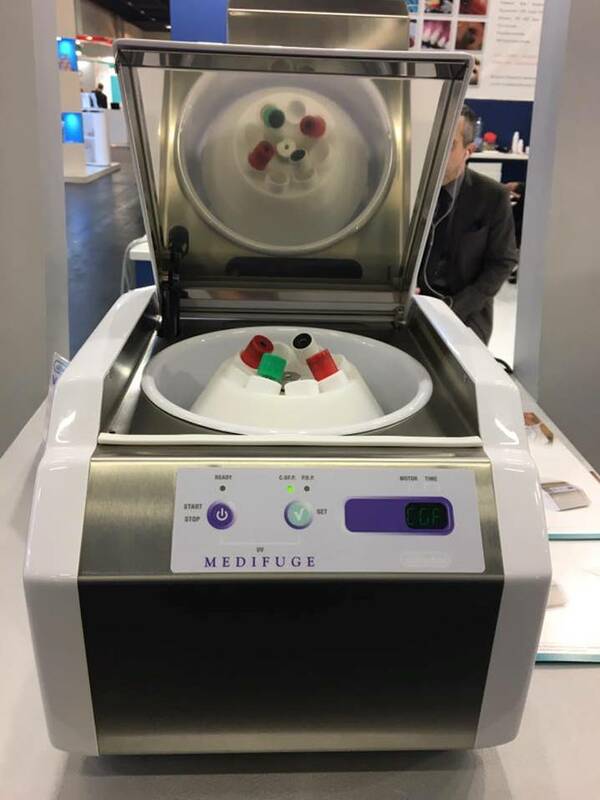 The LPCGF was prepared by squeezing one CGF matrix using the CGF forceps (Silfradent, Italy) and collected in a sanitized container for immersion of all implants. The implants were then placed using a hand wrench and the insertion torque was measured to be between 20Ncm2 and 25Ncm2. Low insertion torques were expected since the bone heights at all implant sites were very low. 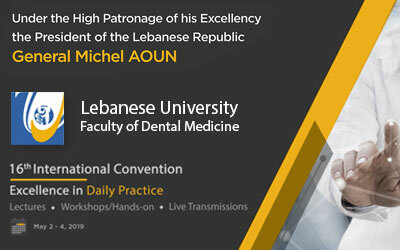 The aesthetics and functional integrity of the periodontal tissues, as well as the vertical and horizontal dimensions of the alveolar processes, are usually compromised following tooth loss. 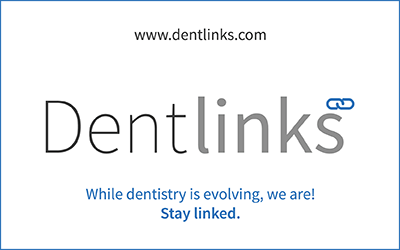 In such cases, various bone regenerative techniques are used in order to restore the alveolar processes back to their original shape, allowing for a more predictable, long-term aesthetic and functional success of the implant placed. For the maxillary posterior segments, a regenerative technique called “sinus elevation procedure” has spread widely and is taught extensively. Whether a “sinus elevation” is carried out in the same or separated day as implant placement, it makes treatment planing more complex with more treatments steps necessary. 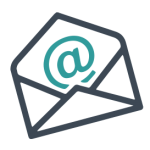 The predictability of the treatment outcome would also depend upon the operator’s experience in performing this technically demanding surgical procedure. Sinus elevation also increases both cost and treatment time required for completion of each case. 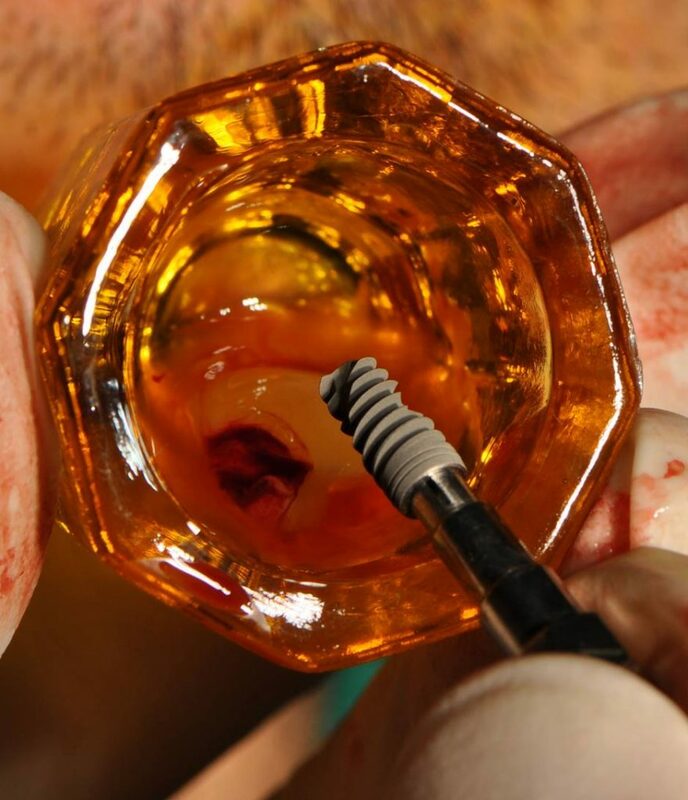 This procedure is generally accepted by patients when they are informed that this is the only way to restore function in the posterior maxillary area if implants are to be used. Without a doubt, patients would choose a flapless or minimal invasive and painless procedure if it was offered to them. The IPG-DET involves the use of autologous bio-material CGF-CD3+Matrix (Concentrated Growth Factors, Stem Cells 34 positive found in CGF at the top 3mm to 4 mm of the blood aggregate of the tube and CGF matrix) together with bone grafting material into the intentionally perforated sinus membrane in order to allow implant placement in the sinuses atraumatically or minimal invasive and with no sinus elevation procedures. The authors consider the IPG-DET as an absolutely safe procedure without any postoperative complications involving the sinuses. It has been found out that platelets found in growth factors (CGF matrix), as well as in the blood circulation, possess pseudo-legs, which are projections from the platelets’ body, allowing anchorage on the surface in which they are placed or at the area where there is trauma. Anchorage of the CGF matrix in the sinuses is also provided by platelets released after the penetration and when there is slight hemorrhage of the sinus membrane. For this reason, once the CGF matrix is placed in the sinus, it will not be displaced away from where it is originally placed and that is why bone is regenerated locally and around the implants. As new bone is formed in the sinus, it will slowly be covered by a new sinus membrane, while the existing sinus membrane under the new bone is believed to disintegrate slowly. 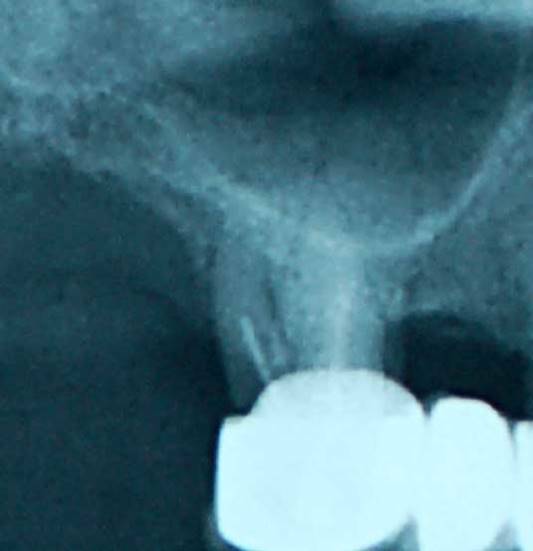 A positive finding of the IPG-DET was the complete absence of any post-operative complication (e.g., pain, inflammation) usually expected following placement of implants, or the multiple perforation of the sinuses. Future case studies and research will provide us with more information on the minimum time required to wait until uncovering implants. Future studies are also required to determine whether the observed enhancement of bone height will be maintained over the long-term or if there will be bone loss due to remodeling. Figure 13: CPCT details of the same patient Pre-op, 2 months Post-op and 4 months Post-op implant placement with IG-DET technique. On the right full osseointegration is observed. 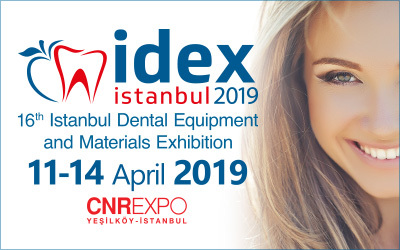 Panoramic x-ray and CBCT scans showed new bone formation around the implants by means of textural image analysis. None of patients’ sinuses presented any signs of infection. In conclusion, our data supports the concept of one-step atraumatic or minimal invasive implant placement procedure through the sinus membrane when there is ridge deficiency and when the patient allows the procedure. IPG-DET‘s promising results demonstrate that it can be considered as a reliable alternative to the SFE procedure. It must be emphasized that when the correct protocol (IPG-DET) is used and the correct training for performing this technique has been completed, only then should this technique be attempted. 1. Georgakopoulos I. P. et all. A case-Study of Seven Implants Placed in the Maxillary Sinus With Intentional Schneiderian’s Membrane Perforation. 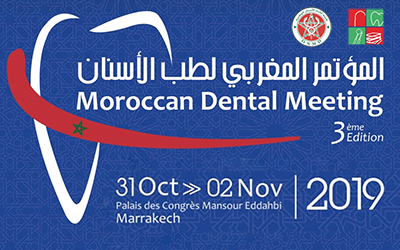 Journal of Implant and Advanced Clinical Dentistry, 2014; 6(1) 9-19. 3. Aghaloo TL, Moy PK. Which hard tissue augmentation techniques are the most successful in furnishing bony support for implant placement? Int J Oral Maxillofac Implants. 2007;22(suppl):49–70. 4. Buser D, Janner SF, Wittneben JG, Brägger U, Ramseier CA, Salvi GE. 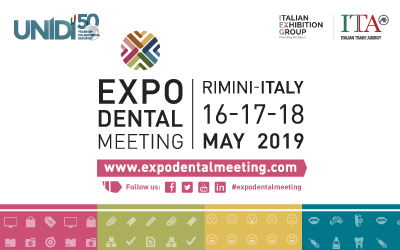 10-year survival and success rates of 511 titanium implants with a sandblasted and acid-etched surface: A retrospective study in 303 partially edentulous patients. Clin Implant Dent Relat Res 2012;14:839 – 851. 5. Timmenga NM, Raghoebar GM, Boering G, van Weissenbruch R. Maxillary sinus function after sinus lifts for the insertion of dental implants. J Oral Maxillofac. Surg. 1997;55:936–939. 6. Timmenga NM, Raghoebar GM, van Weissenbruch R, Vissink A. Maxillary sinusitis after augmentation of the maxillary sinus floor: a report of 2 cases. J Oral Maxillofac Surg. 2001;59:200–204. 8. Sohn DS, Heo JU, Kwak DH, Kim DE, Kim JM, Moon JW, Lee JH, Park IS. 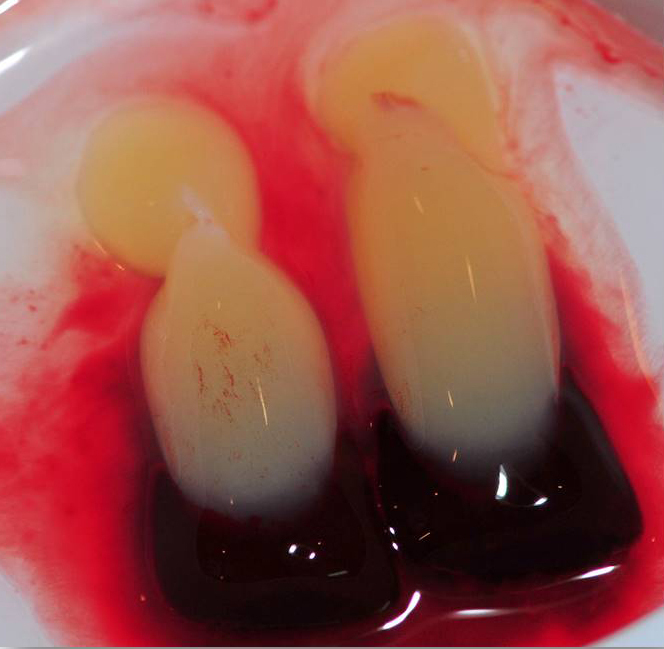 Bone regeneration in the maxillary sinus using an autologous fibrin-rich block with concentrated growth factors alone. Implant Dent. 2011 Oct;20(5):389-95. 13. 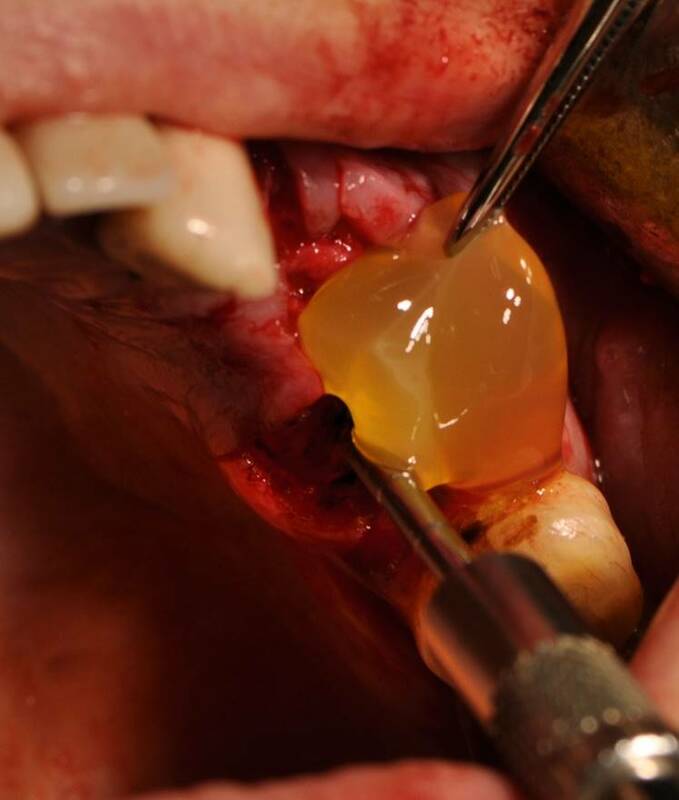 Rodella LF, Favero G, Labanca M. Biomaterials in maxillofacial surgery: membranes and grafts. Int J Biomed Sci. 2011;7(2):81-8.